If you’ve never directed a movie before, there are a few helpful tips for when you’re just starting out, most of which involve starting small, doing what you know, and keeping it simple. 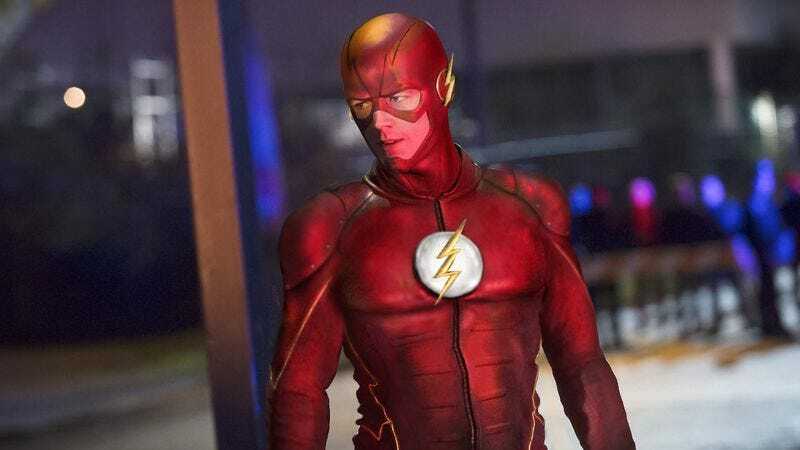 Seth Grahame-Smith, however, has apparently decided to ignore all of that and go straight for a massive superhero franchise film: Variety reports the Pride And Prejudice And Zombies author is in talks to assume directing duties for the big-screen version of DC’s The Flash, starring Ezra Miller. Variety says that Grahame-Smith will direct from his own script; we previously reported that Phil Lord and Chris Miller, Hollywood’s go-to team for making things that everyone enjoys, were hired to pen the treatment, because even DC isn’t dumb enough to turn its most fun character into a “dark and gritty” antihero. Perhaps Grahame-Smith got the idea after working with Greg Berlanti, showrunner for The CW’s Flash series, after they wrote this year’s Oscars together. Or maybe, given the writer’s penchant for literary mashups (he also wrote Abraham Lincoln: Vampire Hunter) he got the job by writing a spec script where the Flash turns out to be a time-traveling Warren G. Harding, a.k.a. America’s most iconic and superhero-like president. Regardless, if he gets the directing gig, he’ll be working from his own script, which should minimize squabbles between writer and director. The Flash is scheduled for release on March 3, 2018, meaning there’s still lots of time for everyone to see the character’s debut in Zach Snyder’s Batman V Superman: Dawn Of Justice, and be confused as to why someone in a Zach Snyder movie is actually smiling.